It is very hard to get the mix well distributed for me. This is worth the trouble though and produces a very nice smoke. Getting ready to load this Kaywoodie with some Lane Limited Ready Rubbed. BLWB in my new Cristiano Metamorfosi bent billiard. Gotta say that I don't really mind the fact that it's a 9mm filter jobbie...draw is nice and easy through the filter. 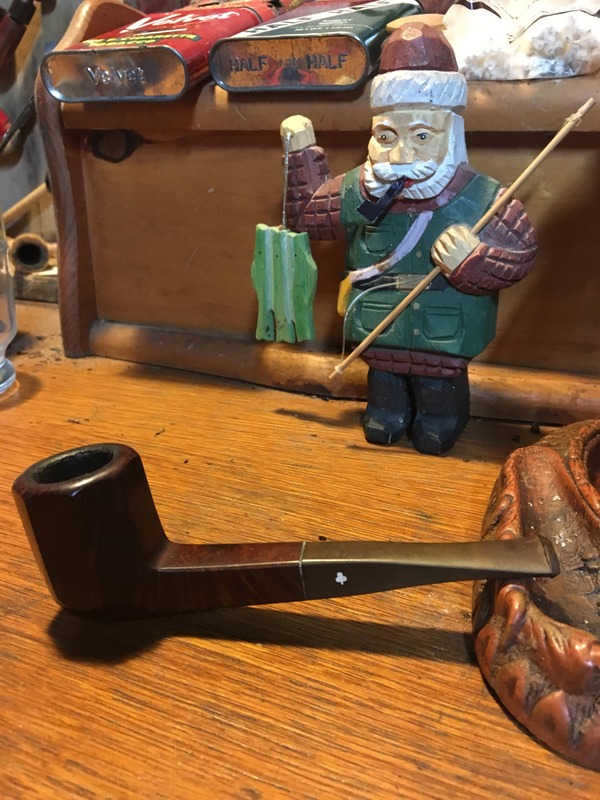 Very pleasant and easy pipe to smoke. Cool water on the side.